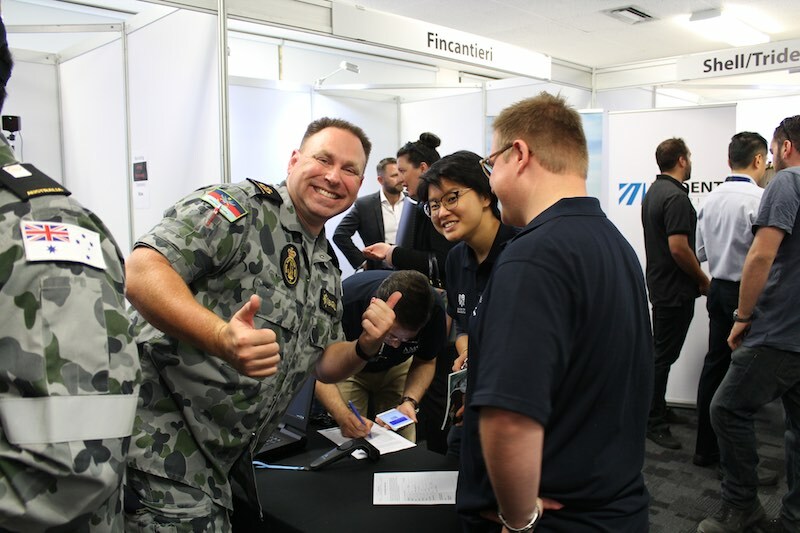 The AMC Careers Expo provides an opportunity for national and international employers to meet current AMC students, and for industry to demonstrate the career opportunities available. AMC students across all study areas are given time off class on the Friday to attend the expo, and the industry presentations are strongly encouraged on the Thursday. There is no registration fee for this event, however accommodation travel and equipment costs are the responsibility of your organisation. Presentation time slots are limited to no more than 15 minutes with 5 minutes allocated for questions due to the volume of presenters. For presenters: please bring your presentation along on a USB data stick or CD/DVD, appropriate audio visual equipment will be available. Students will attend the careers expo in G53 at AMC, where there is opportunity for conversations with the exhibitors, Q and A's, collect brochures, and business cards. Your visit to AMC is a great opportunity for you to tour our facilities. We will be offering a tour of our Newnham Campus, which is home to one of the most extensive ranges of maritime research facilities of any maritime university in the world. The tour will take place at the conclusion of the event at 2.30 pm and will be guided by our student ambassadors. Internet will be available for guests for the 14th and 15th March in the presentation rooms that will be in use. Please bring your own internet connection for all other locations. In the past, companies have taken this opportunity to conduct interviews for prospective recruits, we would be happy to assist in administering this by booking rooms for interviews if required. Please contact amc.business.services@utas.edu.au for this. Coffee, tea and morning tea/lunch will be provided on the Friday, prior to the commencement of the exhibition. AMC is located at Newnham which is approximately a 10 minute drive from the centre of Launceston. A variety of hotel/accommodation is available in Launceston e.g. Hotel Grand Chancellor, Best Western Plus Launceston, Clarion Hotel City Park Grand, Mantra Hotel Charles, Peppers Seaport Hotel, The Sebel Launceston and Quest Launceston (Apartments) all are centrally located. Alanvale Apartments is an alternative option if wanting to stay within walking distance. For information and bookings in and around the Launceston Tamar Valley region, please visit Destination Launceston or contact the travel consultants at the Launceston Travel & Information Centre on 1800 651827. The Newnham Campus map can be downloaded here. Can’t make it? That’s okay. 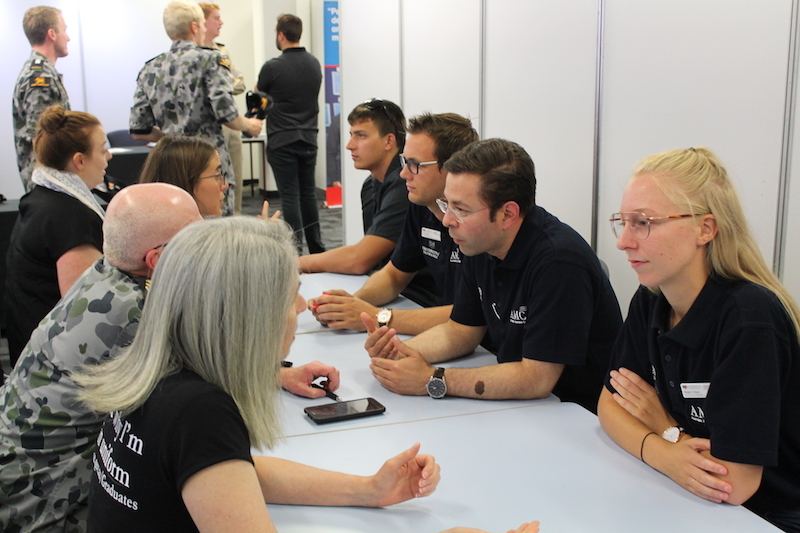 If you can’t make it to the careers exhibition, but you would still like to have a presence or be involved, you can make contact with amc.marketing@utas.edu.au or phone 03 6324 9422. An information display can be set up at the fair in your absence but must be organised with collateral by Friday 15th February.